Stallion table saws are designed with attributes like strength, grace, power and beauty. CWI Woodworking Technologies has developed Stallion Sawing Equipment to be among the elite of woodworking machinery sold in North America. An industrial Stallion table saw like the S4 which features a sliding table and scoring capability is loaded with industry leading features, performance and safety built into its frame. 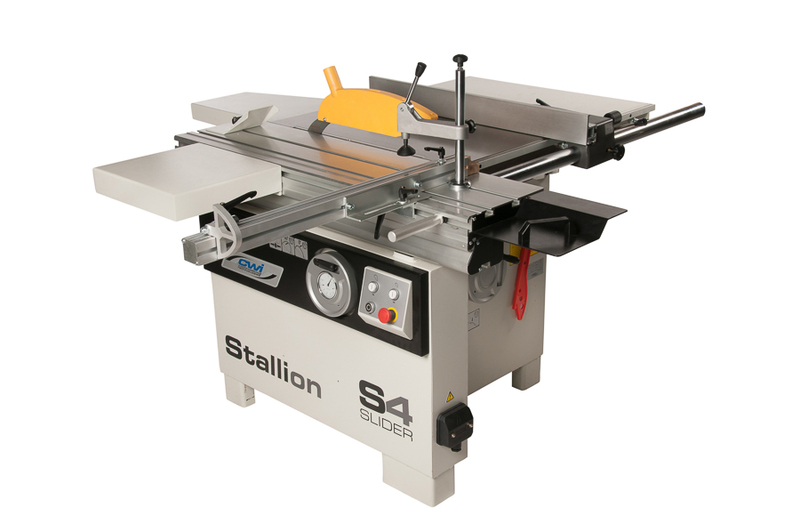 The S4 is one of a series of Stallion 12” sliding/scoring panel saws built with abilities for the small wood shop which just can’t be matched with a standard table saw. A true workhorse machine designed for accuracy and ability to accomplish any demanding task asked of it. 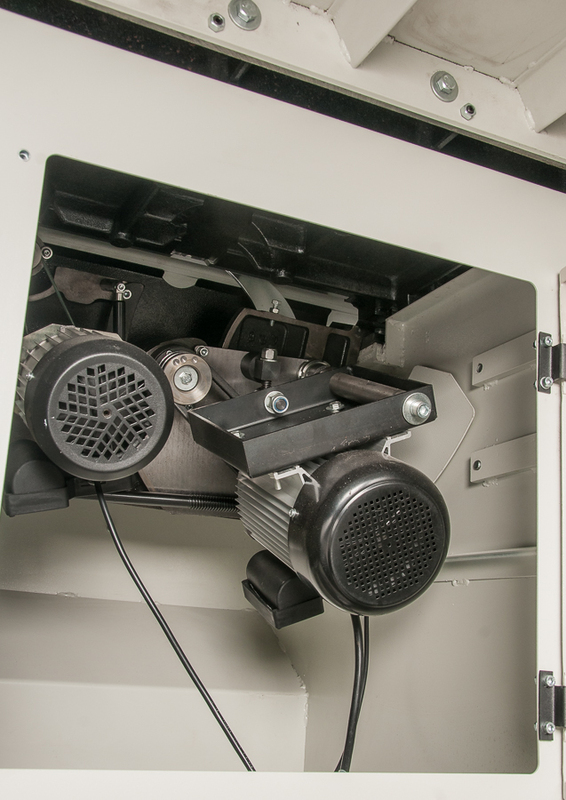 The quality of the build, the cast iron trunnions, the anodized aluminum sliding table and the included sawing accessories make this machine stand out against any competitive sized machine on the market today. 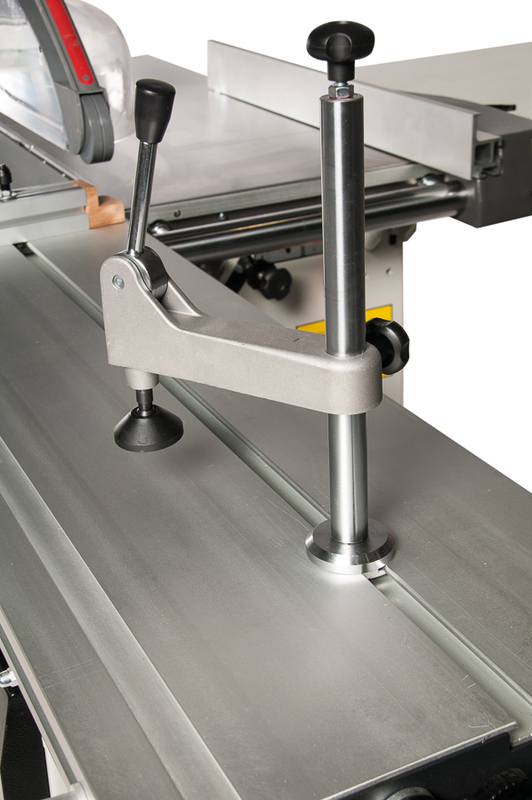 The S4 is a true industrial quality saw with a 48” stroke of the sliding table and an additional ¾ HP scoring motor. Many competitive machines in this class of saw use belt drive scoring and very small scoring saw blades in either 80mm or 100 mm diameter. The S4 uses an industrial sized 120mm x 20mm bore scoring saw blade set (not included) and because it operates with its own motor it can be left in the off position and lowered into the body of the saw when being used for solid wood applications. 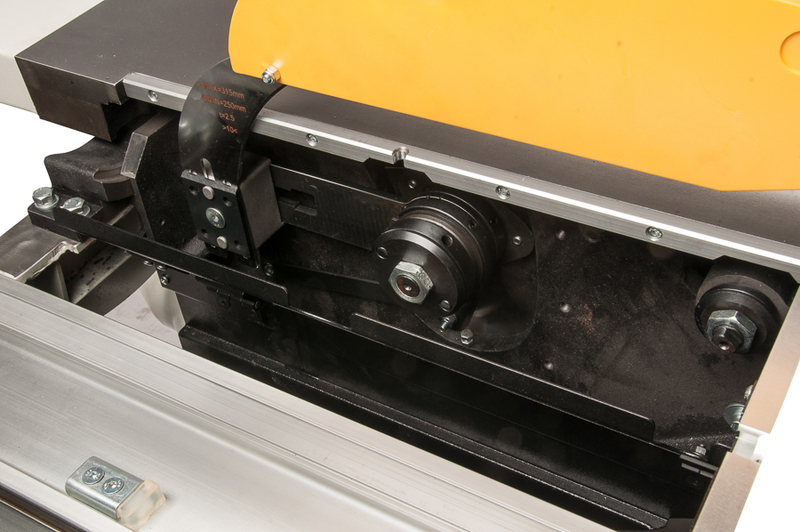 With belt drive designs in competitive machines the trunnion works of the saw are built much lighter in quality and the blade is always spinning whether in use or not. 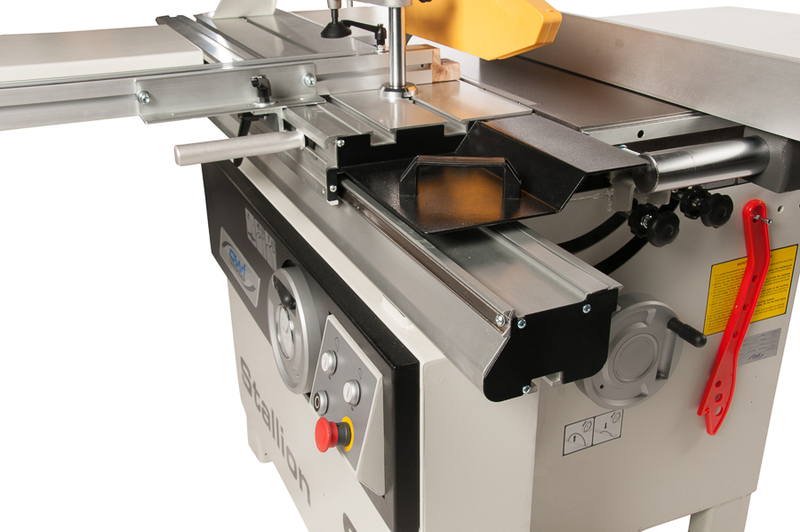 Using the S4 saw for cutting man made laminates, melamine’s or veneered plywood’s is a dream. Always getting perfect cuts top and bottom with no chipping. Equally as impressive for cutting solid woods the S4 is amazing for thick ripping/crosscutting, glue line cutting and dado cuts because the sliding table runs right up against the saw blades and the table rides so smoothly the quality of the cut is vastly superior to that of a standard cabinet saw. Working with live or rough edge solid woods, angle cutting, taper cuts, miter cuts on the S4 are amazingly simple and accurate. Safety is another huge advantage of the S4 slider. The operator of the S4 saw stands on the left side of the sliding table, not in front of the saw blade, as the sliding table now does all the work, not the operator’s hands pushing the workpiece past the blade. 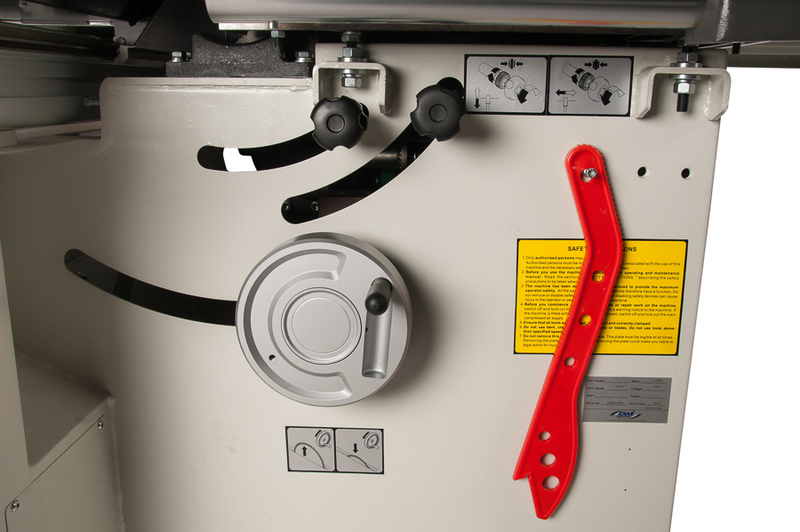 So not only does the user get smoother cuts, the clamping accessories allow the work piece to pass the saw blades in a solid locked position. Included with the S4 is a very strong 4 HP motor to drive the 12” main blade with 30mm bore (not included), ¾ HP scoring motor, miter fence with flip stop, sliding table for a 48” crosscutting/ripping capacity (unlimited rip capacity without use of the sliding table), ¾” dado capacity, eccentric hold down clamp for miter work or small piece cutting, panel clamp for narrow ripping, push bar for the sliding table and 36” rip capacity to the right of the blade with a cast iron/aluminum fence running on a solid steel 2” diameter fence bar. The Stallion S4 sliding/scoring table saws are a true step up in capabilities and safety over standard design cabinet saws allowing users to have more creativity and ability in their wood shops. The ease of adjustments, the quality of the build, the performance features and the sawing accessories included as standard equipment make these saws stand out over any other brand of table saw.